Yesterday, Georgia Bulldogs played against LSU Tigers ( it’s a team of Louisiana State University). Bulldogs won!!! 44-41 LSU Tigers is a strong team, they are 6th in the country (Georgia Bulldog is at 11th place). So, that was a big deal. Georgia is crazily happy. 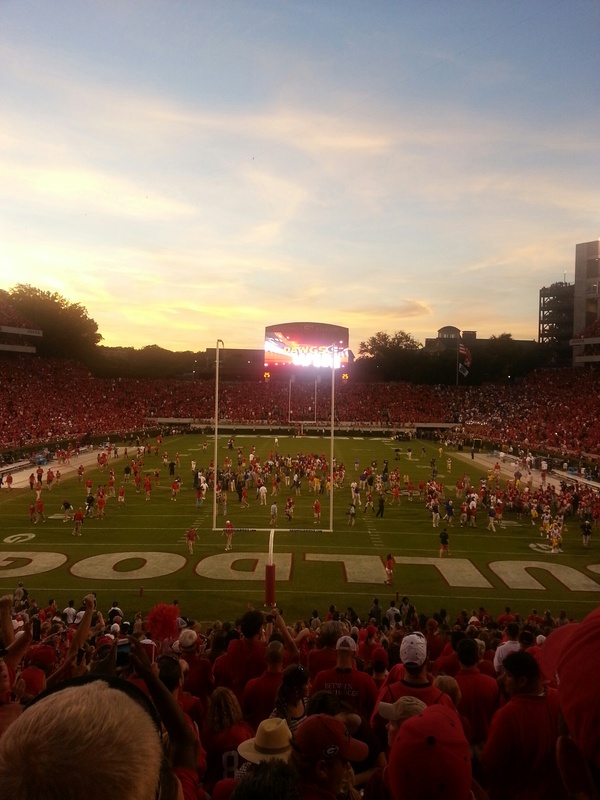 My husband with his college buddies went to see a game in Athens, GA. I post a picture he took when it said that dogs won. 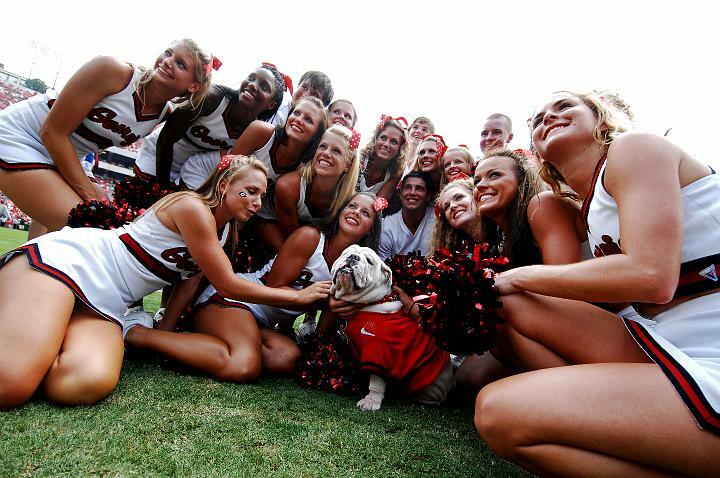 He also tried to take a picture of cute UGA, but the dog was far and I got to see only his little house and cheerleading girls around him.I found similar picture in internet. There were 85 000 people and a big celebration after the game. It reminds me the time when Saint-Petersburg team Zenit won and whole city was celebrating). I am surprised that Americans care for college football much more than State football. Anyway, Bulldogs won probably because they had 85 000 of fans and little UGA on their side, while LSU Tigers came with less enthusiasm and, obviously, without a tiger.